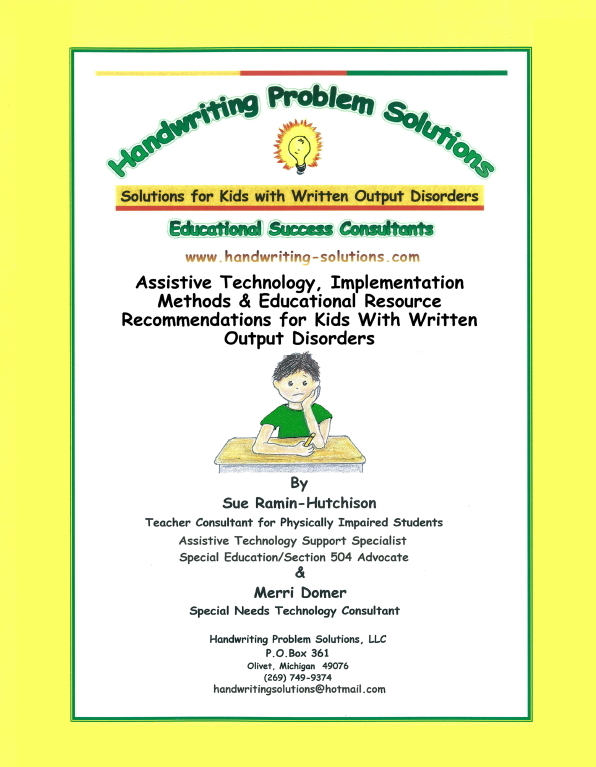 Assistive Technology, Implementation Methods & Educational Resource Recommendations for Kids with Written Output Disorders digital download is a resource guide for parents and professionals working with students with educationally significant handwriting challenges that make it difficult/impossible for them to complete written schoolwork with paper and pencil. Digital download (120 page PDF) is delivered electronically immediately following payment. Learning Disabilities – including Dyslexia and Dysgraphia. 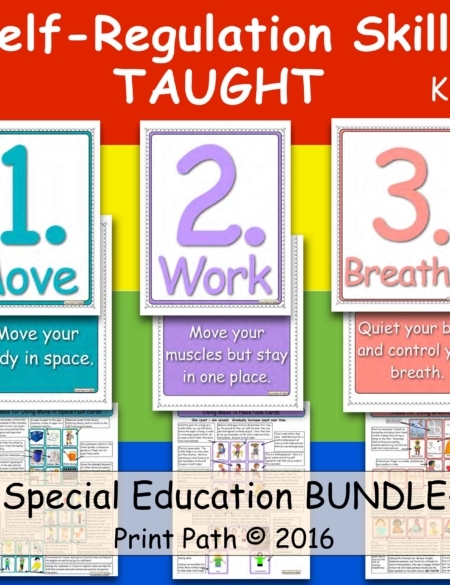 It contains a full continuum of assistive technology including equipment, software/apps, products and supports for kids, K-12, that allow them to complete all types of written schoolwork – even math, worksheets and advanced math and science! 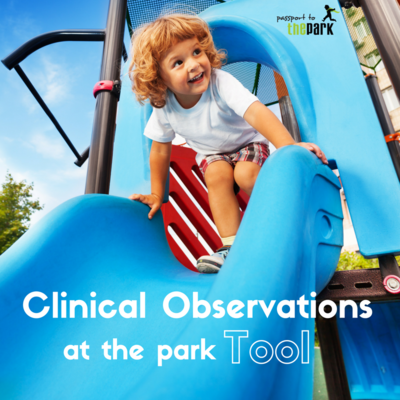 the latest “best practice” solutions ranging from products to help kids improve their handwriting skills to the introduction of equipment and software/apps when a student’s handwriting is unable to be significantly improved through therapy/practice. 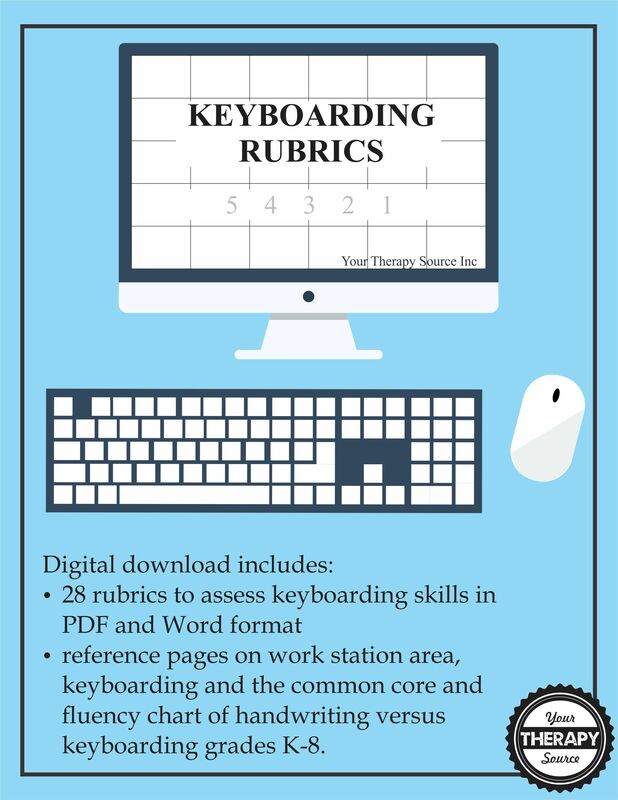 the best classroom implementation methods – which really are the keys to making a smooth transition from traditional to technology-based methods for completing written schoolwork. All recommended assistive technology in this guide includes complete descriptions, website and ordering information. Purchasers of this guide will also be provided with the access codes for the authors’ internet “Guide Updates Page.” Periodically logging in to this page will always keep this resource guide current and up-to-date in the future, as the authors continually post new assistive technology information for students with written output disorders on this page as it becomes available.